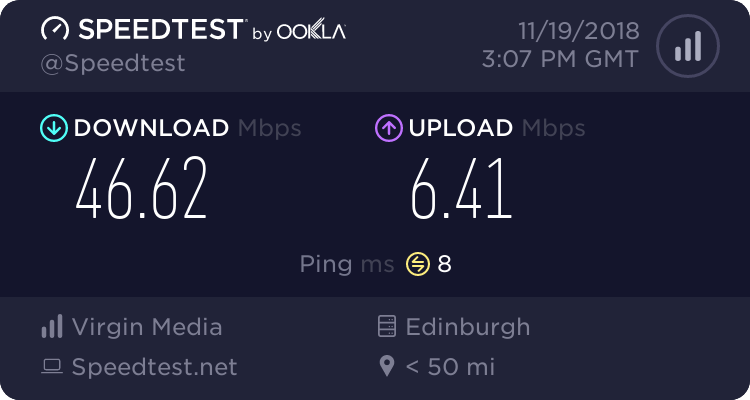 Yet again speed are low. Paying for 200mps but recently getting around 45mps - day time, not peak. Had so many promises this year that it was fixed, well it's not. Sorry for the connection problems. I've just taken a look and one of your downstreams is borderline and you've had a high amount of time-outs. However, you've been online for 51 days without a reboot. Would you please perform a reboot and post back to us in a few days so we can test again. Reboot done and things have improved. Should I be rebooting every few weeks as a matter of course? Slow again yesterday, rebooted router but still slow. The time-outs have been cleared and don't appear to be creeping up again which is good. 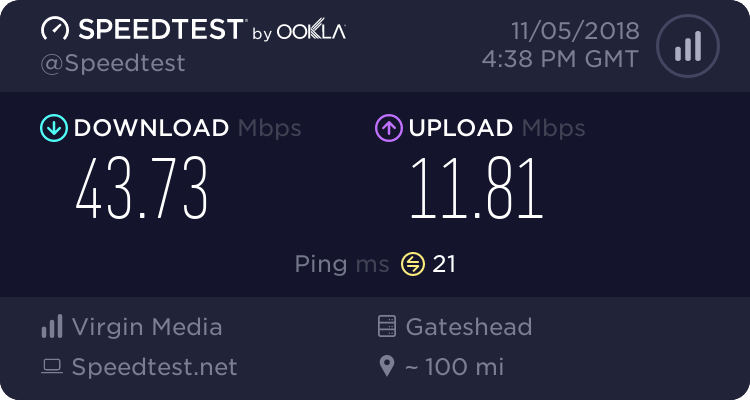 Are you testing your hard-wired speeds?